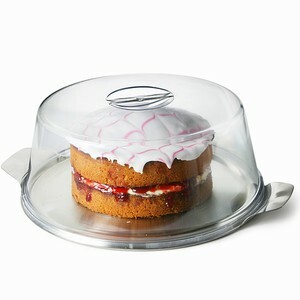 Display cakes and other baked good with peace of mind that they will be kept fresh and clear of dirt. 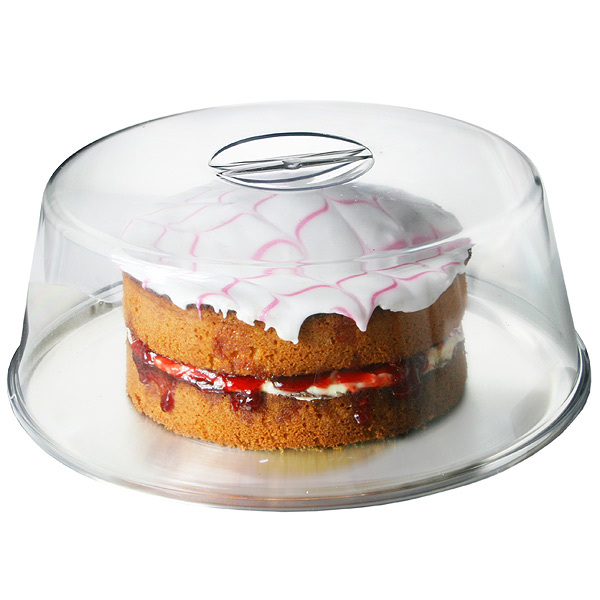 The Plastic Cake Dome is made from a high impact styrene which means it is sure to last. "Well priced and smart, very pleased, thank you. Just right for displaying cakes on market stall, but posh enough for a shop too." "This is a practical useful plate and dome for storage of cakes. 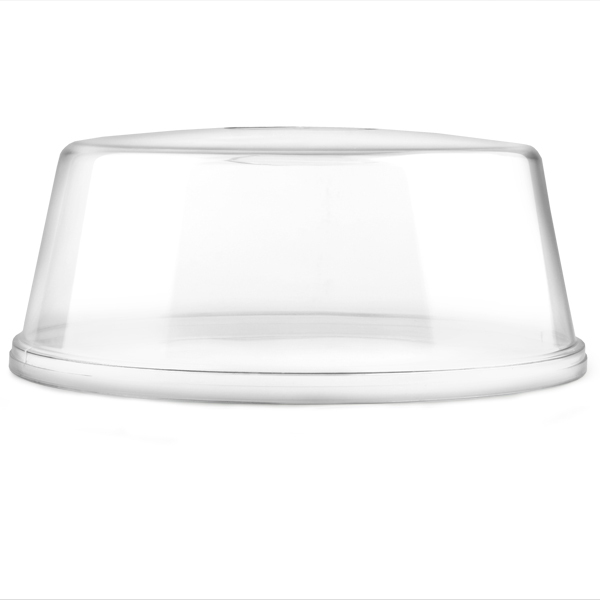 Wish I had found this product years ago"
"I ordered 6 plastic handle cake domes, 30cm, the ordering process was simple, straight forward, the checkout process was just as easy, the price is fantastic and was exactly what I was looking for, the domes arrived a couple of days later well packed,"
"Cake dome arrived very quickly and well packaged. Will definitely use you again!!!"